The Color Doctor is a portable blood pressure monitor that alerts users by colour if their blood pressure is normal, above normal or high. 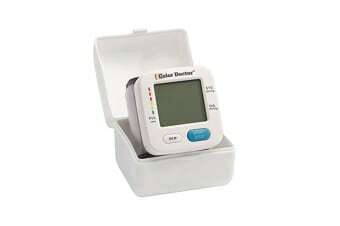 It displays heartbeat, plus, it stores up to 90 readings for two users. 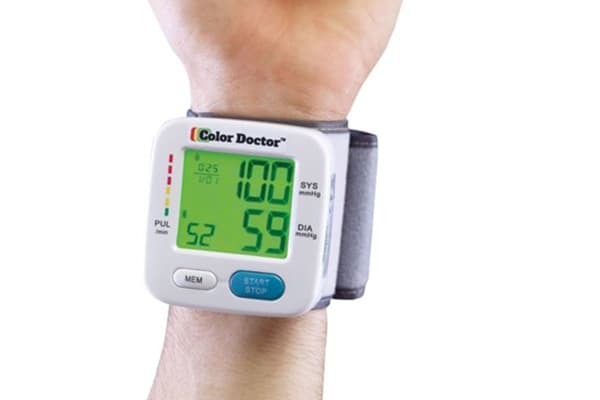 Using a clever colour coded results system, the Color Doctor is the convenient and easy to use portable blood pressure monitor. Green: Blood pressure is good | Yellow: Blood pressure is elevated | Red: Blood pressure is high, watch it closely and consider consulting a physician.